The first edition came out in 1889, and Skipper was happy to encourage such a venture. However subscriptions failed to cover the costs and the boys got into financial difficulties. So in 1893 Skipper agreed to take it over. Old Dragon rugby, hockey and cricket matches were all written up; life achievements and publications were recorded along with births, marriages and deaths. 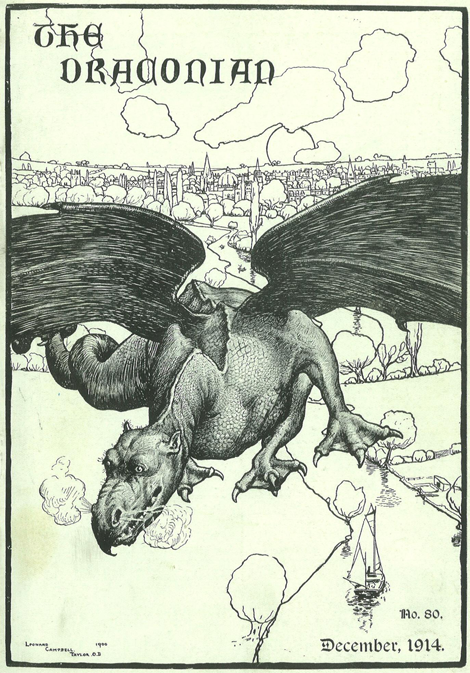 Old Dragons were also encouraged to contribute letters, articles and poems to the magazine. After breakfast we go out and dig drains in the country. It is a healthy and pleasant occupation, and brings back the old, old days when I was ‘proxime accesit’ for the Gardening Prize (Under 10). I took a walk the other day – at least it was more like a run: but a warder came up and made a race of it. I held him well at first, but he kept a little in reserve, and just caught me in the straight. So I am still here…. 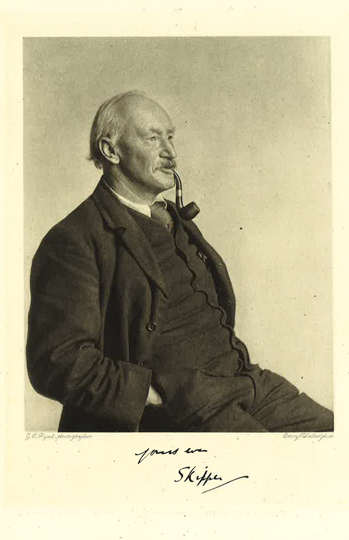 Through the war years the editor was GC Vassall, who had joined the staff in 1900. As with many OPS teachers, he acquired a nickname: ‘Cheese’ – a play on his initials. 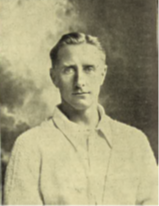 Up at Oxford he had been both the President of the Athletic Club and Captain of the Association Football Club. He won the University Long-jump three times and was second in the Amateur Championship of 1899. In 1904 he played for the Corinthian XI which defeated the F.A Cup holders, Bury, 3-1. He was good enough to be selected to play for England, but he turned this opportunity down to play in the Varsity Match with which it clashed. He taught both Classics and English and was to become one of Skipper’s greatest supporters. Under his editorship, Old Dragons wrote back from all the theatres of war and indeed were pleased to receive their copies of The Draconian even when in the trenches. The magazine was in its way a social networking phenomenon of the time.